Welcome to the final Merry & Bright Holiday Home Tour 2017. First, a big thank you to SmithHonig and Amara for sponsoring our tour. 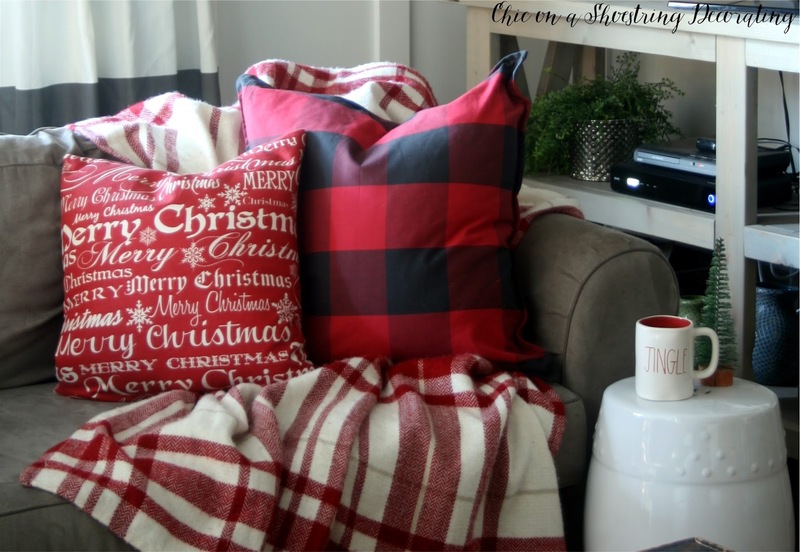 I've had my eye on these buffalo check Pottery Barn pillow covers since last Christmas. I got them for a sweet 75% off on Black Friday, what a score! 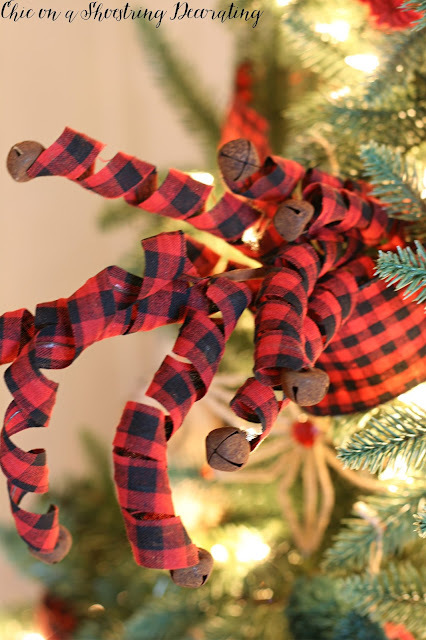 I also added buffalo check ribbon to the tree that you can see behind the ornament. The hubs and I made this ornament and several like them. We sold a bunch but I made sure we kept some of our favorites. These buffalo check curly q's were new this year. 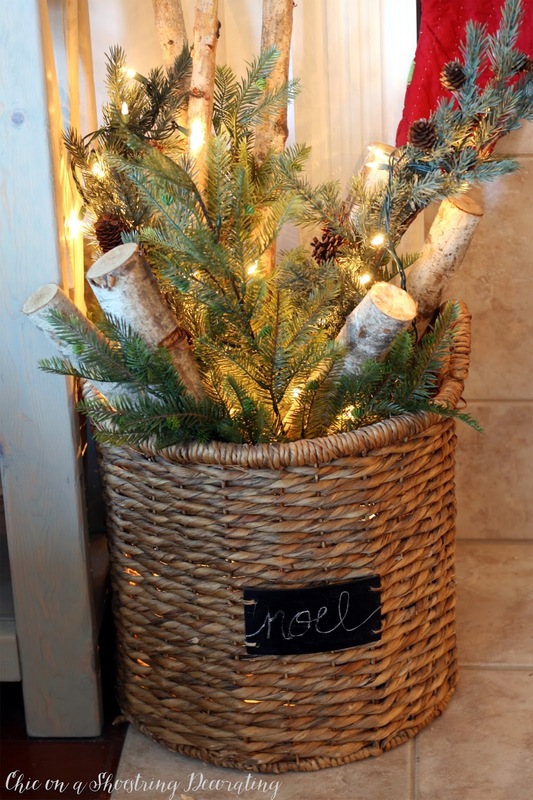 I bought a few and stuck them throughout the tree and used them in my topper. 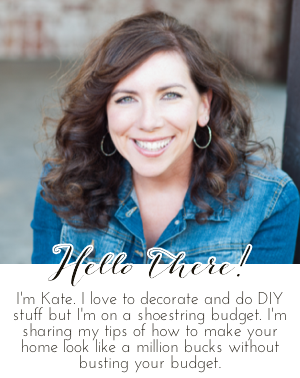 My take on Christmas tree toppers... I like to all "Crazy Hair-Do". I also picked up that buffalo check throw on the chair at Pottery Barn's black Friday sale. It matches the pillows perfectly and we can always use another throw blanket. 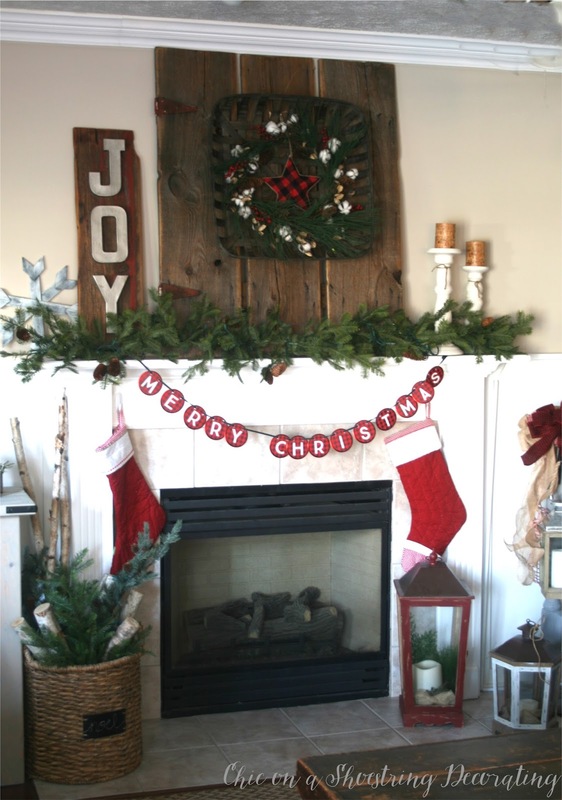 My mantel has the Buffalo Check star and the Merry Christmas sign has a buffalo check background as well. Sorry for the brightness (or lack there of) in my pics, my room family room doesn't get a great amount of direct natural light in the summer so I struggle to get good pics. 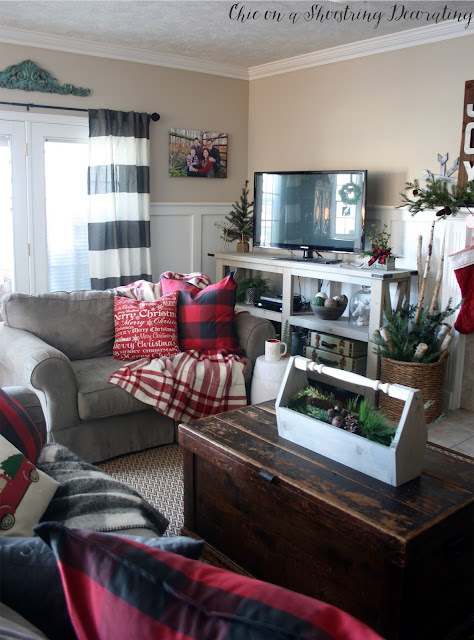 When we put up our Christmas decor we have to move our love seat to the other side of the room. Basically the chair and love seat trade places. No big deal but here's a shot of how that looks. My boys love it because it puts a cozy couch right in front of the TV. Thanks again for stopping by! 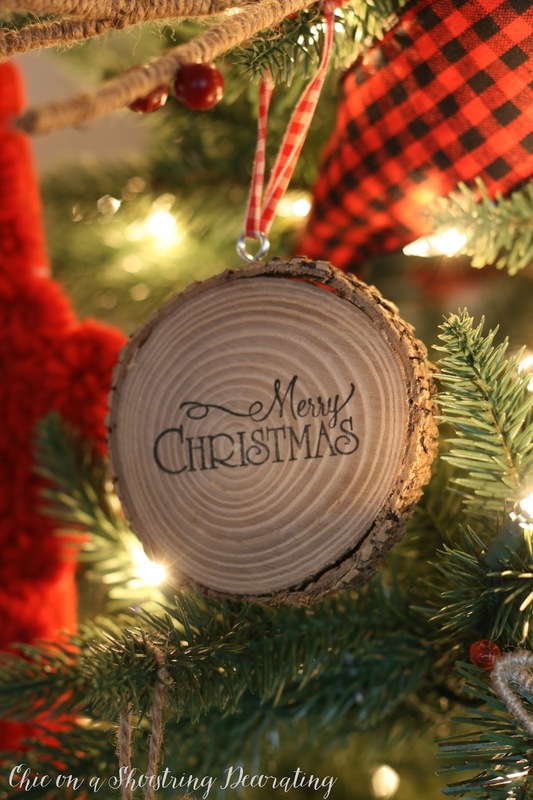 Merry Christmas and Happy Holidays to you! Beautiful tour! I have been using lots of black and red buffalo checks the past couple of years too - and I bought those PB pillow covers this year too! Love your tree! I love all of the buffalo check decor your used this Christmas. It's so classic yet fun and that tree topper is amazing. 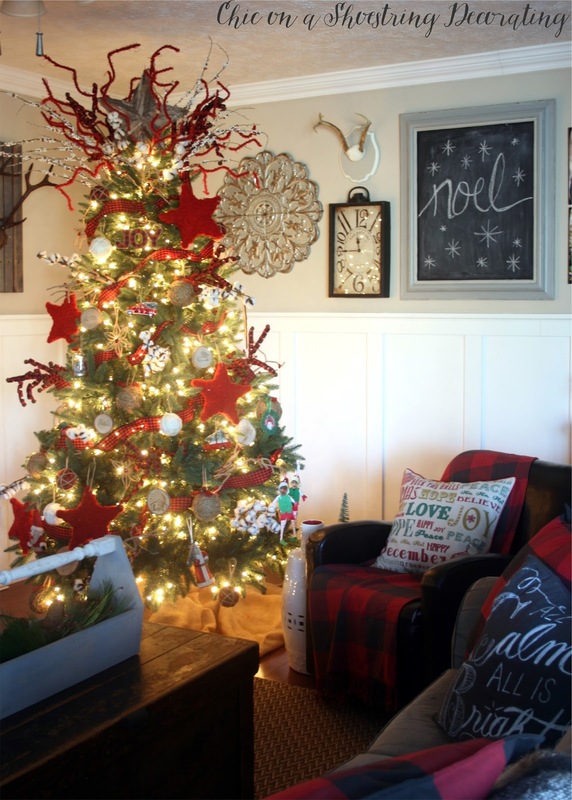 Thanks for sharing all of your beautiful holiday decor with us this year as part of the Merry & Bright Holiday Home tour. 'Tis the season! I love the buffalo checks! So festive!